What do you think of a computer that uses liquid materials as semiconductors? A recent simulation demonstrated that a liquid medium works just as effectively as the silicon-based solids used in computer chips, an article in Science Daily stated. A liquid medium uses far fewer materials than its solid counterparts. The soft parts are also very easy to shape, making them very compatible with wearable electronics. The simulation was conducted by researchers at the National Institute of Standards and Technology (NIST). 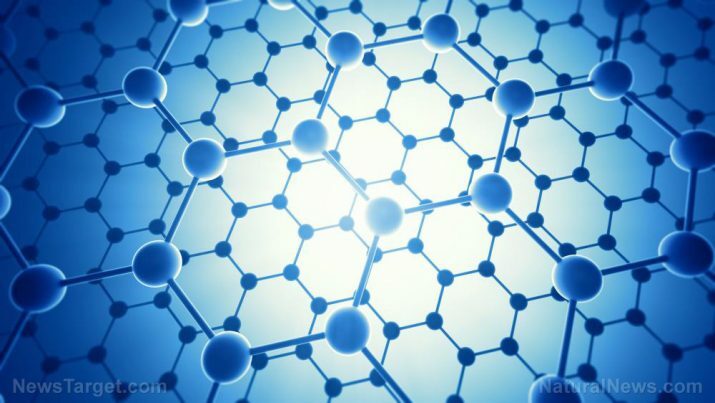 They placed graphene in a saline solution and used the very thin sheet to capture ions. The team reported that their simulated setup works in a similar way to a silicon solid-based semiconductor. It can serve as a transistor, the switch that handles digital logic in a computer. The voltage levels can be adjusted by changing the amount of salt in the liquid solution. The film can thus be activated and deactivated like a transistor. And by exchanging the input and output, it can also serve as a memory device. The computer simulation devised by the NIST team focused on a sheet of graphene suspended in a saline solution. The carbon atoms in the sheet are arranged in hexagonal structures. Their conductivity allows them to act as electric circuits. The sheet has at least one oxygen-lined pore. Each pore functions like a crown ether, an electrically neutral molecule that can trap metal ions. In this case, the crown ether pores are designed to trap positively charged potassium ions. The saline solution uses potassium chloride, a salt that can be split into ions of its constituent elements: potassium and sodium. The potassium ions are positively charged, while the sodium ones are negatively charged. When a potassium ion is captured in a crown ether pore of the graphene sheet, it blocks the pore. No other loose ion can get through. Aside from preventing other ions from penetrating the sheet, the potassium ions trapped in the pores also generate an electric field around the graphene. The field increases the energy that an ion needs to expend so that it can penetrate the sheet. Both penetration and trapping can be adjusted by changing the voltage throughout the membrane. Low voltages prevent penetration. Higher voltages will weaken the electrical barrier, thereby increasing the chances of freeing ions trapped in the crown ethers and opening up pores for passage. In addition to acting as a semiconductor, the liquid medium might also be able to perform simple logic operations using “zeroes” and “ones.” The low voltage setting can be deemed as a “zero” while the high voltage level is the opposite “one,” allow for NOT logic gates. Adding a second sheet would allow an OR logic operation. The simulation is intended to demonstrate the potential of this approach. The NIST researchers have not yet attempted to actually create crown ether pores in graphene, which is a very expensive material. They are looking at other materials that can provide similar structures and outcomes. One group of candidates are transition metal dichalcogenide monolayers. Like graphene, transition metal dichalcogenides are only several atoms thick. They are also capable of accommodating different kinds of pore structures, so it is possible that they can hold crown ether pores. Finally, they are water-repellent. For more stories about novel approaches to computer technology, visit Computing.news.